Hot Toys is gearing up for the 20th anniversary of The Phantom Menace with another sixth scale announcement. 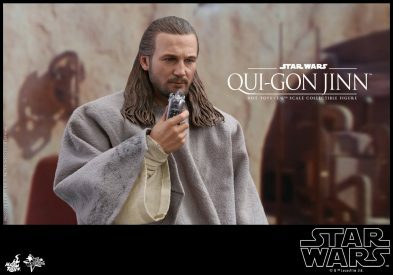 Hop on over and check out the full gallery of the Qui-Gon Jinn sixth scale figure! UPDATE: You can now pre-order this figure over at Sideshow Collectibles. Hot Toys Announces Commander Cody!